I am having a similar issue. I've been trying to connect all morning without any luck. I've closed and reopened Synergy on both computers & restarted both multiple times. Nothing is working, any suggestions? It was working fine yesterday and most days prior but when the computers went into hibernation, Synergy wouldn't work anymore when I snapped them out of hibernation. I have to restart one or both computers to get Synergy working again. It would be nice if things didn't stop work when the computers go into hibernation mode. Attached is a screenshot of both systems logs as well as how I have them arranged. Paul Suarez, why did you delete my posts? I made a separate thread for you. You're welcome @yimyammer. Please check quoted post below. Any idea why Synergy stops working after a hibernation? This is what it says on Shut down, sleep, or hibernate your PC page of Microsoft Support site (US). "Hibernate uses less power than sleep and when you start up the PC again, you’re back to where you left off (though not as fast as sleep)." I have used tried that just right now, and it did work. I put my client machine to hibernate and waited for a few minutes. I switched it on from hibernate mode and as soon as it shows my Lock screen background picture I moved my cursor to the direction of that client screen and it works fine. What I have set on it is the manual IP of my server machine and auto config is turned off(of course). As long as the server's IP address stays the same, it should still be able to connect back after hibernation. Going back to your question. 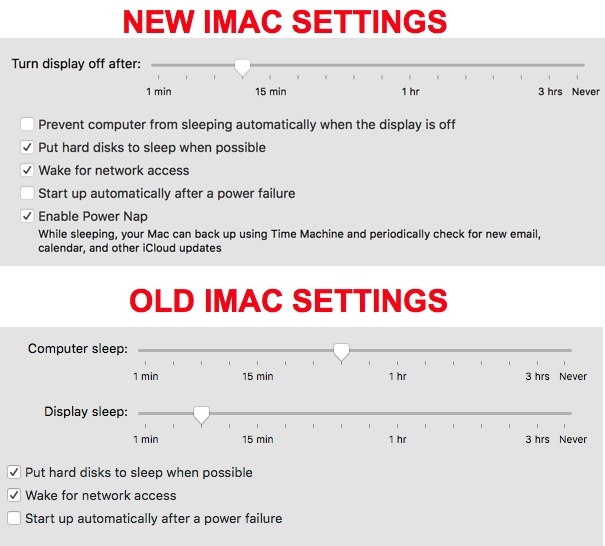 . . What hibernate mode is set on your machines? No worries, I just appreciate the timely responses. Thanks for the screenshots @yimyammer. Have you tried to check if it's only on the server or the client machine that it won't reconnect after a reboot? If it's only happening on one machine, try switching them and check for the same behavior.